Dr Lisa Colton directs the Centre for the Study of Music, Culture and Identity (MuGI) at the University of Huddersfield. Her research focuses on intersections between Western music and gender within diverse chronological contexts. Lisa's work deals with the history of medieval English and French music, source studies, song analysis and interpretation, women composers, the representation of female musicians, and questions of historiography. 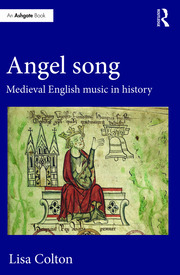 Musicology, editing, medieval music, archival studies, paleography, early music. Lisa enjoys singing in choirs and playing early music instruments such as the bass viol.